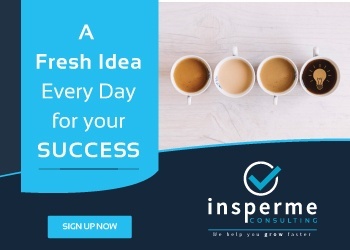 The Insperme Consulting website (the ‘Site’), the information services made available through the site and the content (the ‘Products’) are owned, operated and maintained, as applicable, by Insperme Consulting (‘we’, ‘our’, ‘us’, or the ‘Company’). Insperme Consulting is not responsible and is not obligated for issues in your network or server beyond certain limits. This website may have links to other websites. We do not undertake any control on the content of these websites; nor are we responsible for their website content. The sole purpose of the links included is to provide users information. Hence, Insperme Consulting will not be held responsible. Do not link to Insperme Consulting pages and subpages with spam links/anchor text which could provide a false impression. This may create misunderstanding for the users. Do not use or include copyrighted or registered trademarks, or Intellectual property images, design or content as a link to Insperme Consulting website. The entire contents of the Site are protected by copyright and trademark laws. The owner of the copyrights and trademarks are Insperme Consulting, its affiliates or other third party licensors. The material on the site, including text, graphics, code and/or software is copyrighted and belongs to Insperme Consulting, therefore you may not duplicate, modify, publish or reproduce the content in any manner. A description of where and how the material that you claim is infringing is located on the Insperme Consulting website, with enough detail that we may find it on the website. To make a transaction on http://www.insperme.in website, you are bound to pay for that transaction. WE MAKE NO WARRANTIES OF ANY KIND, EXPRESSED OR IMPLIED, WITH RESPECT TO ANY PRODUCTS OR SERVICES SOLD ON OR THROUGH INSPERME CONSULTING. In case you’re using Insperme Consulting from a mobile or a similar device, you need to agree to a different set of terms &conditions known as “Mobile Terms”. purchased or transactions made on/from the website. All prices, products and offers of Insperme.in website are subject to change without notice. While we make sure to provide most accurate and up-to-date information, in some cases one or more items on our website may be priced incorrectly. This might happen due to human errors, digital images, technical error or a mismatch in pricing information received from our suppliers. Insperme Consulting reserves the right to change prices for all our products, offers or deals. These changes are done due to market conditions, providers, price changes, errors in advertisements and other mitigating circumstances. However, the price you paid at the time of purchase still holds for you. No additional or different terms contained in any purchase order, document, transmission or other communication shall be binding upon Insperme Consulting unless agreed to by Insperme Consulting in writing. Insperme Consulting reserves the right to modify, change without prior notice and in its sole discretion, to limit the order quantity on any item and to refuse service to anyone. Insperme Consulting may change, modify or even eliminate any content or feature from the website at any time without the need of issuing a prior notice or having any liability. If you are not happy with the service related modifications, you are free to cease the use of the website. Also, we are not liable if the website is unavailable at any time for any reason. Copyright © 2018 Insperme Consulting. All rights reserved.